Bangalore is indeed a ‘Garden city’ even now; not many can boast of such vast gardens in the heart of the city. Blessed with a pleasant climate and fertile land, Bangalore was also fortunate to have many rulers with a love for parks. Read about Bangalore’s famous parks and gardens. Lalbagh was created in 1760 covering an area of 40 acres, as a private garden for the then Mysore Rulers, Haider Ali and Tipu Sultan. Today, spread across an area of 240 acres, the lush green garden is famous for diverse and exotic flora collected from all over the world. A treasure house for the botanists, it is a huge lung space for the common man and a joggers’ delight. The famous Lalbagh Glass House, where the annual flower shows are held, was built in 1889 to commemorate the arrival of Prince of Wales. It had been designed on the lines of London’s Crystal Palace. Lalbagh is also home to one of the four watch towers built by Kempegowda II, the founder of Bangalore City. Next time you enter Lalbagh through the West Gate observe the lantern shaped granite gate lodge. This was originally at the entrance of Dewan P N Krishnamurthy’s Bungalow in Kumara Krupa. While on his morning city rounds, the then Dewan Sir Mirza Ismail happened to notice the bungalow, then a Government property, being demolished. The ornamental gate lodge caught his attention and he immediately rescued it. It was defabricated and reinstalled at the Lalbagh West Gate. Lalbagh has four gates (East gate- Double Road, North Gate – Subbaiah Circle, South Gate – Jayanagar, West Gate – Basavangudi). Vehicles are allowed only through the East Gate Entrance. The Park is open daily from 6.00 am to 7pm. 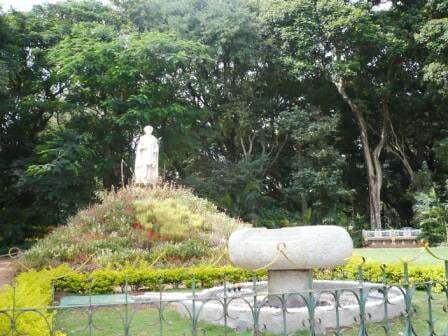 The Cubbon Park was created by Sir Richard Sankey, the then chief Engineer of Mysore. 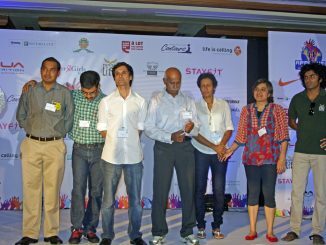 It has been named after Lord Cubbon, the longest serving British administrator of Bangalore. It covers an area of 334 acres and holds many official structures like High Court, Sheshadri Iyer Memorial Hall and the Government Museum. Colonial statues of Queen Victoria, Prince Edward, Lord Cubbon and Statues of Maharaja of Mysore Sri Chamarajendra Wodeyar and Dewan Sheshadri Iyer can be found at various corners of the park. 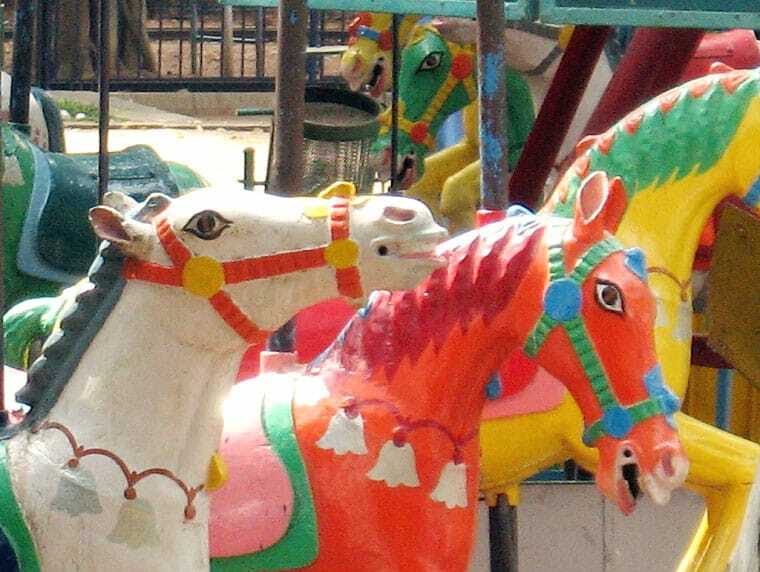 The park also includes Jawahar Bal Bhavan – a vast amusement centre and play area for children. In the 1940s the Rana family of Nepal had taken refuge in the city. The Maharani Bajang of Nepal wanted a home for her pet parrot in Lalbagh. When she discussed the plans with the then Dewan Sir Mirza Ismail, he suggested building a fountain in Cubbon Park as an alternative idea. She agreed and provided Rs 7000/- towards the construction. However, before the fountain was built, the Maharani expired in Bombay and the parrot could not be traced. The fairy fountain in Cubbon Park is in memory of this parrot which was never found! In the MG Road vicinity, the park can be entered through multiple gates. The most common entrance is from the Queen’s Street (facing KSCA). Private vehicles can also drive through the park from Hudson circle, High Court or Vittal Mallya road. Inside the Cubbon Park resides a vast area called Bal Bhavan, a play area for children. One of its most famous attractions is the Putani Express – a toy train that chugs along a 1.5 kilometer train track around the Bal Bhavan. There is a doll museum and an amusement park for the young ones. There are many summer courses on offer for the inquisitive young minds ranging from pottery, bamboo crafting to aeromodelling. Do not miss the 20 million year old fossilized tree in the park area, a gift from the Geological Survey of India. In Cubbon Park – the Bal Bhavan’s entrance is from Queen’s Street (facing KSCA). Between the KSCA and the Parade Grounds stands a small park as a memorial to Field Marshal Cariappa. The park is spread over 22 acres and a huge statue of Gen Cariappa stands at its entrance. A big man-made waterfall and a pond are the main attractions of the park. A live band plays on an elevated grassy area and entertains the public every fortnight. The park includes a childrens’ play area designed in the military style to develop physical strength and mental co-ordination. The Garden is maintained by the Army and is open to the public. To really appreciate the thick woods and for a fantastic aerial view of the park, stand on the balcony of Ebony, 13th Floor, Barton Centre, MG Road. In the MG Road vicinity, entrance from Cubbon Road. Open from 5.30 pm – 8pm on weekdays, 1pm – 7pm on Saturday and 9am – 7pm on Sunday. No food and drink can be bought in. Pets not allowed. Bannerghatta National Park is 22 km from Bangalore and is a zoological reserve for Indian lions, tigers and panthers. The park, established in 1971, includes ten reserves of Anekal forest range. A safari through the Tiger reserve is one of the main attractions here. A mini Zoo, a snake park, crocodile farm and a newly added butterfly park are some of its other attractions. There are also a lot of hills around this forest reserve – Uddigebande, Hajjamana Kallu- that are popular among trekking enthusiasts. Bannerghatta Road from South Bangalore leads you to the reserve. The park is closed on Tuesdays and open on all other days from 9am – 5pm. You could add Indira park opposite to planetorium. The park has fountain with music.